When I first published this recipe, I made it with a yucca topping, a Venison Shepherd’s Pie. As delicious as that was, it also took about an hour to make. While I know cooking food for the Autoimmune Protocol diet can be time-consuming, I wanted to make a spin on this dish that was equally delicious but could be made in half the time! The impetus was this: 30 Minute Meals for the AIP. I am so honored to be part of this cookbook, which features 120 complete meals for a family of four. All take just 30 minutes or less. Including this one. Venison is one of those foods I have just begun to really appreciate. Inexpensive and versatile, it’s a wonderful way to supplement the ubiquitous ground beef. It’s incredibly tasty, too! And a perfect meal to warm you up this fall and winter. And did I mention it’s a one-panner? As in a one pan meal. It begins, of course, with bacon, and plenty of it. After you’ve cooked your bacon to a crispy finish, you’ll cook the sweet potatoes first (they require a bit more time than the onions), then drop cook up your onions in the remaining bacon grease. Each addition – onions, then sweet potatoes – gets pushed to the edge of your pan to make room for the star (or maybe co-star, seeing as there is so much delicious bacon): venison. Once the meat is nicely browned you’ll give it an herbal treatment of garlic, oregano and thyme. The roux, which is made once everything is cooked, is a way to give a quick, saucy thickness to this meal. I consider it a nice addition but not a necessity. So if you’re really running short on time, simply skip it and add back in your bacon, wilt the spinach, and you’ve got a 4-person hearty meal on your hands. But if you’ve got the time, the roux is a simple combination of bone broth or coconut milk and a little cassava flour. Once liquid + flour are combined, simply mix the roux with the pan’s contents. This is a big family hit around here. When I’m stuck for ideas or just want something fast, this is one I know will get a hearty thumbs up from C and hubby. From seafood to pork to liver, this cookbook has something for everyone. 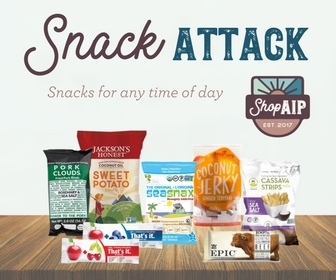 Pick up one today to see just how convenient eating AIP can be! This easy meal is reminiscent of Hamburger Helper - one pan, 30 minutes start to finish, and AIP elimination phase compliant. And so, so good! The perfect comfort food for a fall day. Begin cooking bacon. While bacon cooks, chop sweet potatoes. Remove bacon, leaving fat in pan. Cook sweet potatoes in bacon grease until lightly browned and soft. Push sweet potatoes to sides of pan and add onions. Cook, without moving, until browned and fragrant, 5 minutes. Flip onions and continue to cook 2-3 minutes. Push onions to sides of pan with sweet potatoes and add venison. Break up with wooden spoon or spatula. Cook until no pink remains. While venison is cooking, roughly cut spinach and crumble or chop bacon. When venison is cooked through, add sea salt, oregano, garlic and thyme. Stir all together with sweet potatoes and onions. Push mixture to sides of pan and add 1/4 cup bone broth or coconut milk. Immediately (or else your liquid will evaporate) add flour and make a roux by whisking together. This will thicken quickly. Add an additional 2-3 Tbsp of liquid to thin, then mix roux together with meat mixture. Add spinach. Cover to allow to wilt, 1-2 minutes. Remove lid and mix in spinach. Enjoy!! Even though venison is what I used here, there is no reason you couldn't make this using beef, lamb or even, camel meat! To make this coconut free, use bone broth and cassava flour for the roux. Previous PostPrevious 30 Minute Meals for the Paleo AIP!